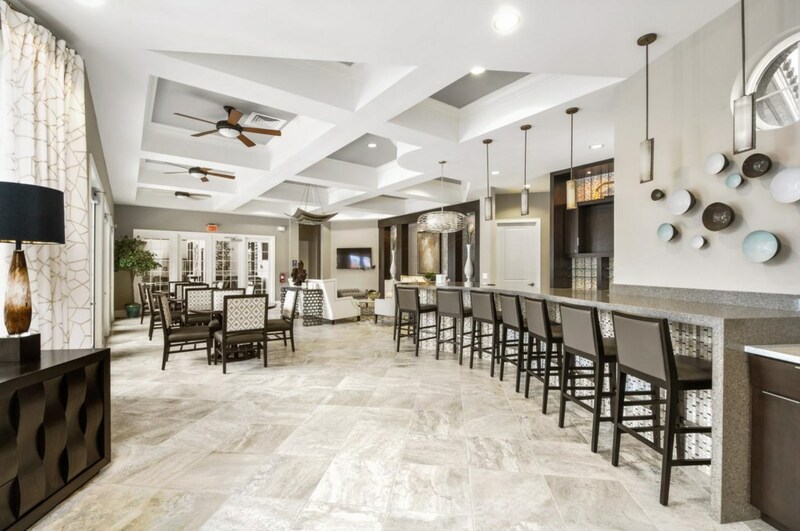 Solterra Resort | Townhouse with South Facing Private Pool and Lake View! 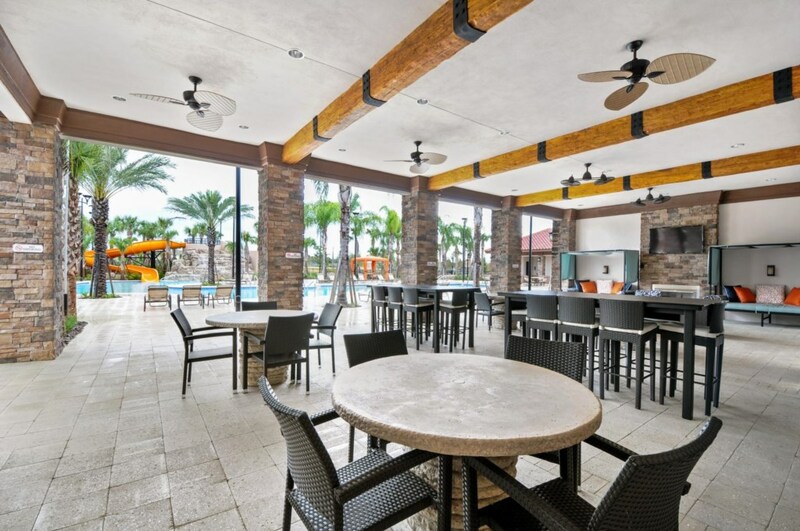 Resort Amenities Included! Welcome to Solterra Resort!! 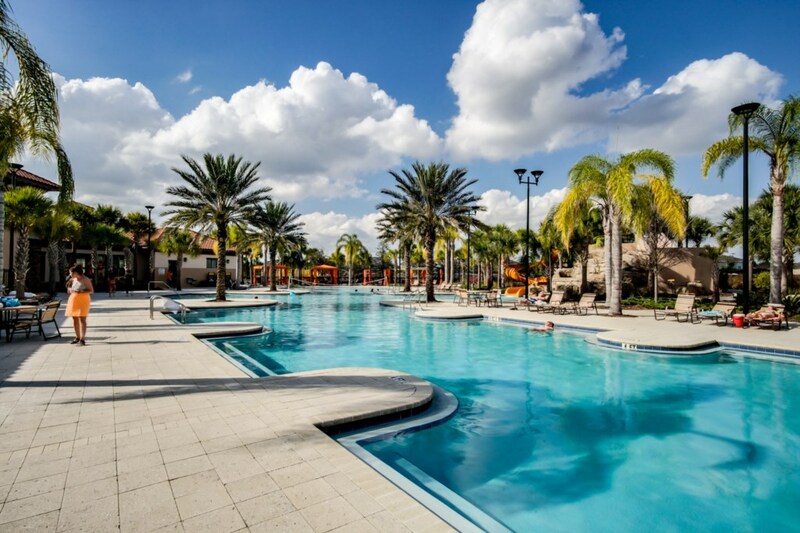 Solterra is a state of the art, gated Resort just 8 Miles from Walt Disney World. This townhouse is BRAND NEW as of October 2016! This 4 bedroom/ 3.5 bath home is great for a single family or two families traveling together! 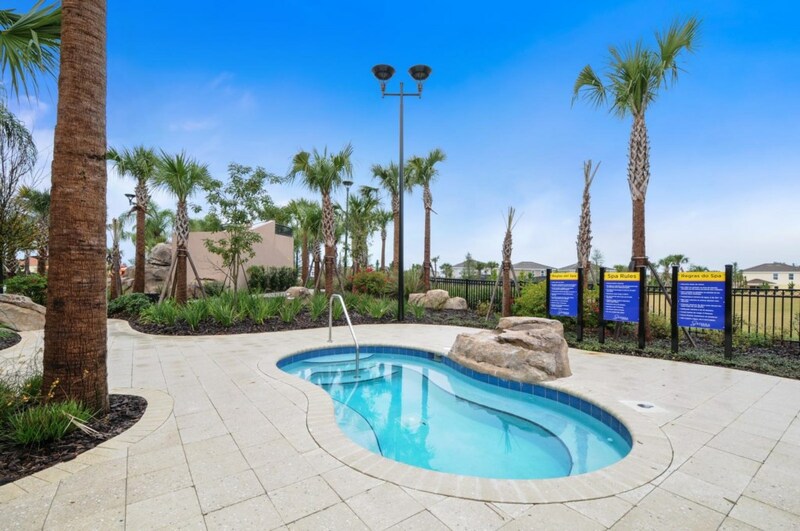 Enjoy the private south facing pool after a long day at the parks! Your family will be amazed at the spectacular resort amenities including zero entry pool, water slide, cabanas and the lazy river & poolside restaurant coming April 2017! Kitchen and Living Room: The large open concept kitchen with island is perfect for entertaining and easy serving for the kids or guests. The kitchen is fully equipped with everything you need for a quick meal or family meals. The kitchen opens up to the living room; equipped with a large sectional couch, sofa chair and ottoman. The living room also features a 42" TV. Four Bedrooms: The master en suite is upstairs and features a King Bed with private bath and a large walk in closet. The Queen bed is the only bedroom on the main floor. There is one hallway bath on the main floor and a half bath outside by the pool for easy access! Back upstairs are two additional rooms with two twin beds in each. Best of all, every bedroom has a TV! Keep in mind, this house also has a sofa sleeper! Popular by everyone is the outdoor area! 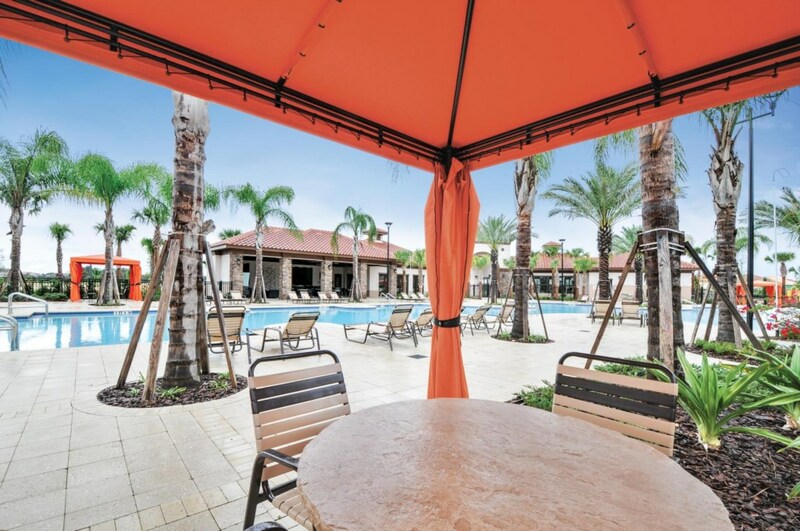 The South Facing Pool is great for getting rays ALL day long. As mentioned before, there is an outdoor half bathroom for easy access and to avoid mess! 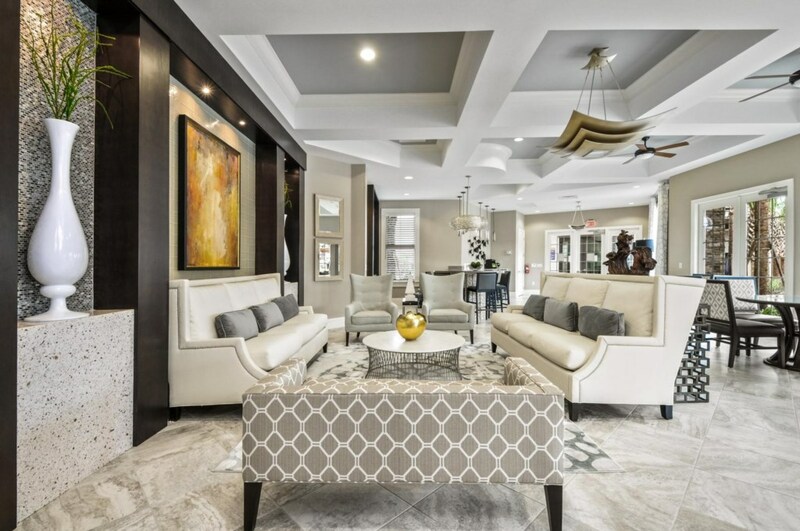 Resort Amenities are included in your stay! 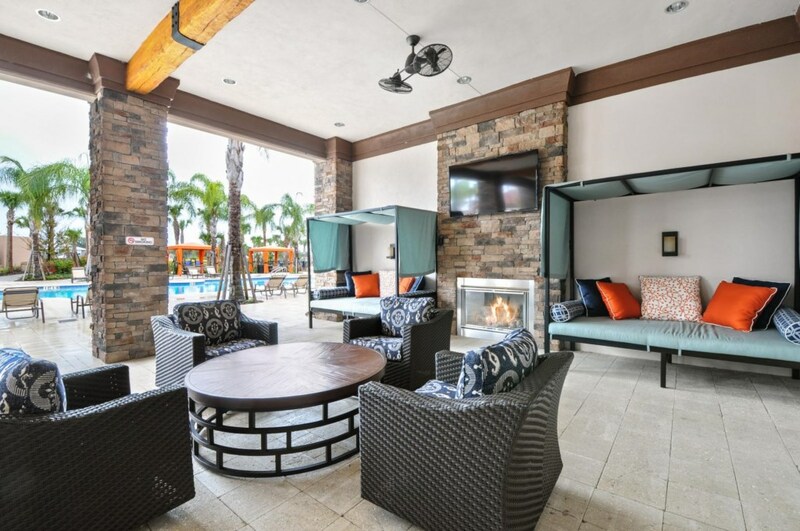 This gated community features Zero Entry Heated Resort pool with children's pool, Hot Tub/Spa and Water Slide! 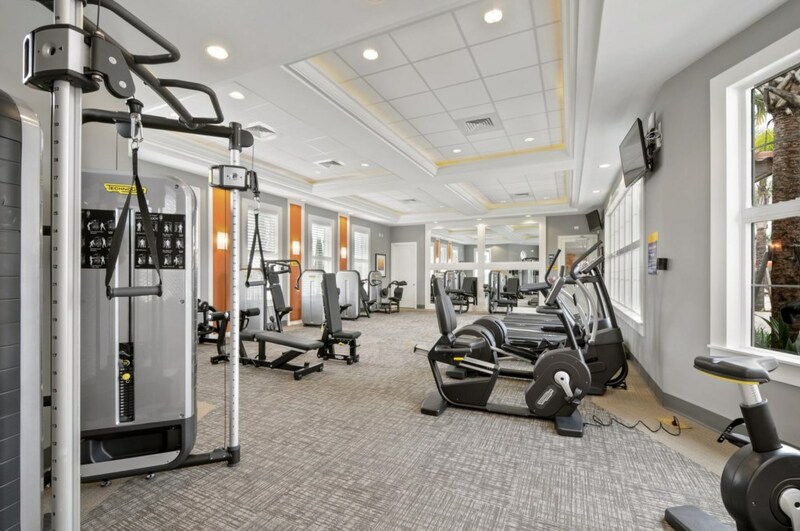 You can also take advantage of the cabanas and Indoor Fitness Center. The long awaited Lazy River and Poolside Cafe are set to open April 2017! 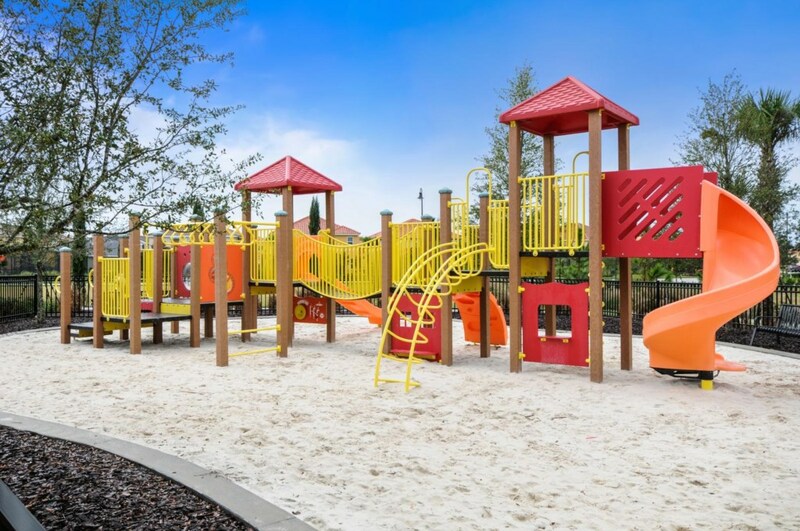 In addition, your family can also enjoy the outdoor recreation areas including a children's playground, volleyball court and more! 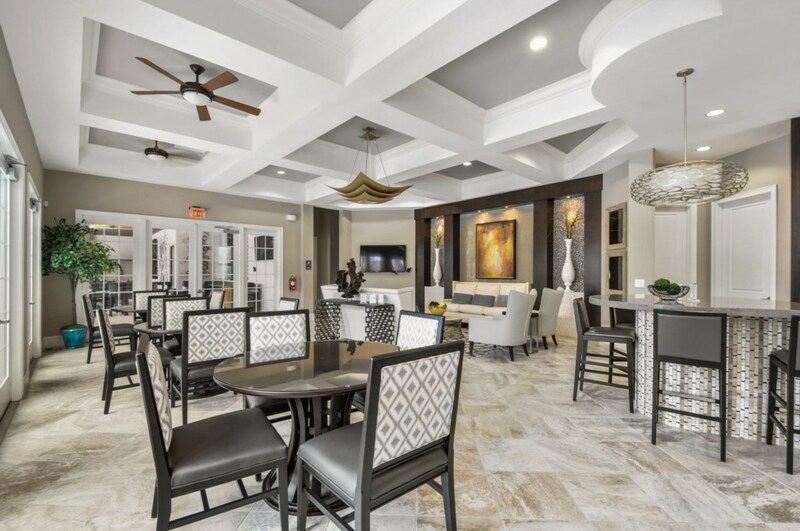 The resort clubhouse also offers complimentary WiFi! 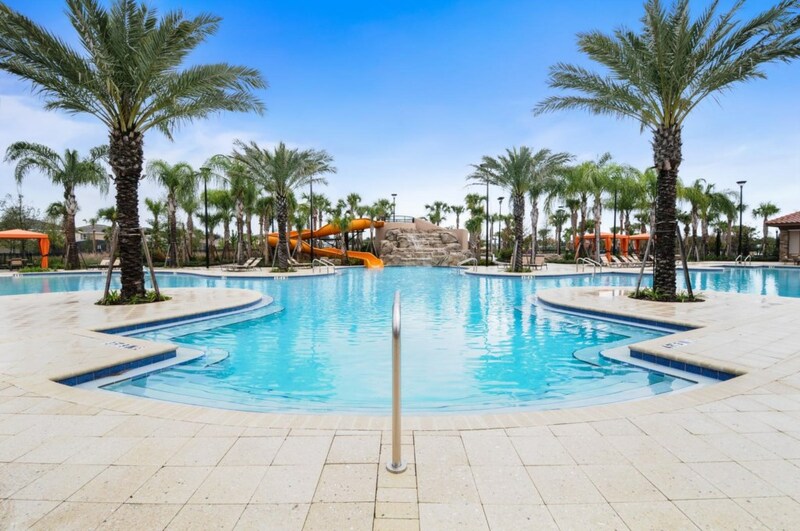 *Zero Entry Heated Resort Pool, children’s pool, Hot Tub/Spa and water slide!